At the International Conference of Chief Justices of the World (ICCJW) in 2015, the number of the honorable guests broke the annual record; exceeding 60 countries were present. 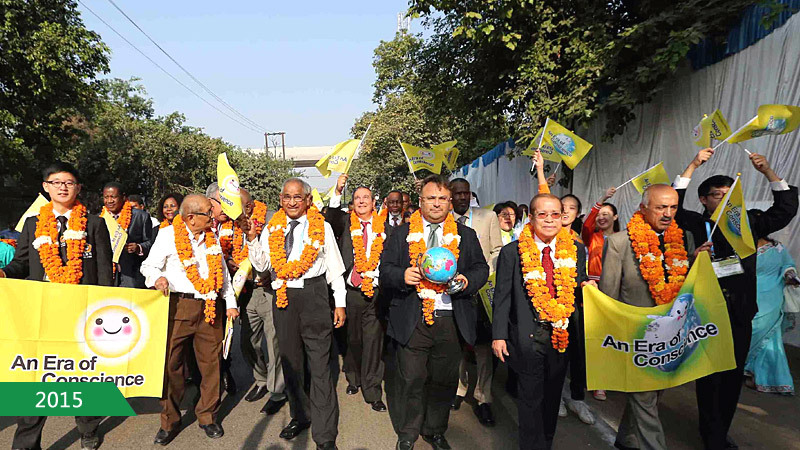 FOWPAL members also went to India. A young and new generation of the international volunteers promoted the movement of "An Era of Conscience", through cultural exchanges and endorsement. Each chief justice was sincerely touched by them and responded in turn to the join the endorsement of "An Era of Conscience".